Although considerable research has investigated parenting stress and children’s externalizing behavior problems, comparatively less has considered parenting stress in relation to children’s internalizing difficulties. Even less research on parenting stress has incorporated children’s report of their internalizing symptoms or the potential mediating role of children’s attributional style. The current study hypothesized that children’s independent reports of internalizing symptoms would be associated with mothers’ reports of parenting stress through children’s attributional style. A community sample of 92 mother–child dyads participated. Results suggest maternal parenting stress from both child and parent sources were significantly associated with children’s anxious and depressive symptoms. Parenting stress was associated with children’s internalizing symptoms partially mediated by children’s maladaptive attributional style, primarily negative attributions for positive outcomes. 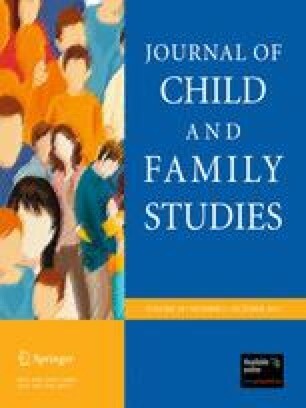 Findings are discussed in terms of future directions to tease apart specific areas of parenting stress that may be most pertinent as well as to explore other cognitive mechanisms in children that may relate to parenting stress and children’s adjustment.